Are your children ready for the first day of school? Are you ready? 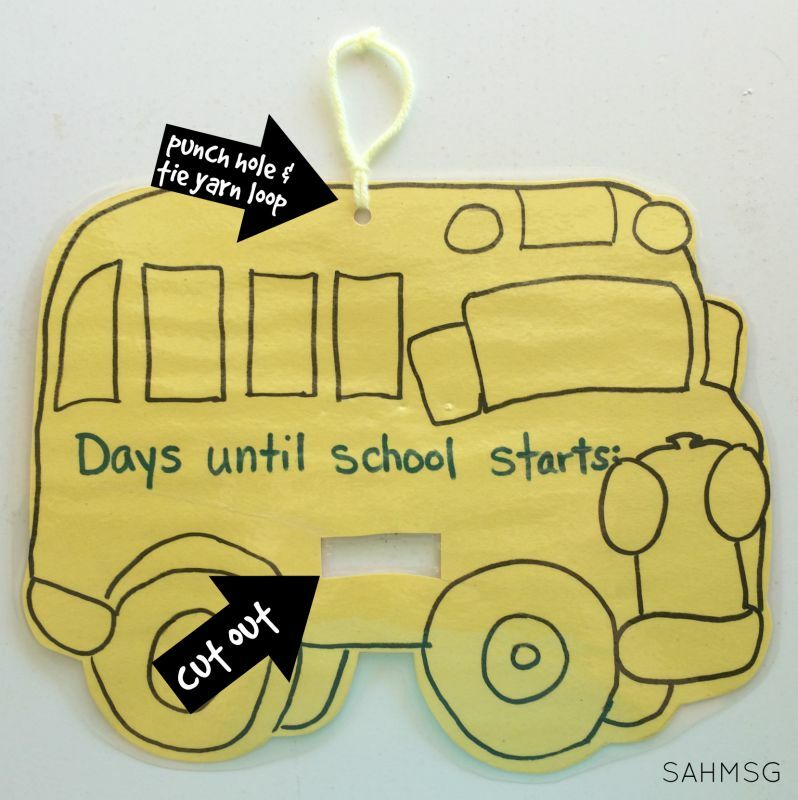 🙂 Whether you have a child entering school for the first time, are getting ready to start your homeschool year, or have an older child that is eager to get back to their friends, this is a fun activity to count down the rest of Summer vacation and get ready for the first day of school. My oldest son has mixed feelings about heading back. He will be in second grade this year, but we have been using countdown chains like this one since he was 4 years old. It is a helpful visual for children who do not understand how long is a week or a month. We have counted down the days that my husband was working remotely or deployed, we have counted down the days until we get to leave for vacation. There was even one Christmas where we used two different colors of paper strips so we could countdown the arrival of a few different family members who were going to be visiting us. This post contains affiliate links. Please view my disclosure. 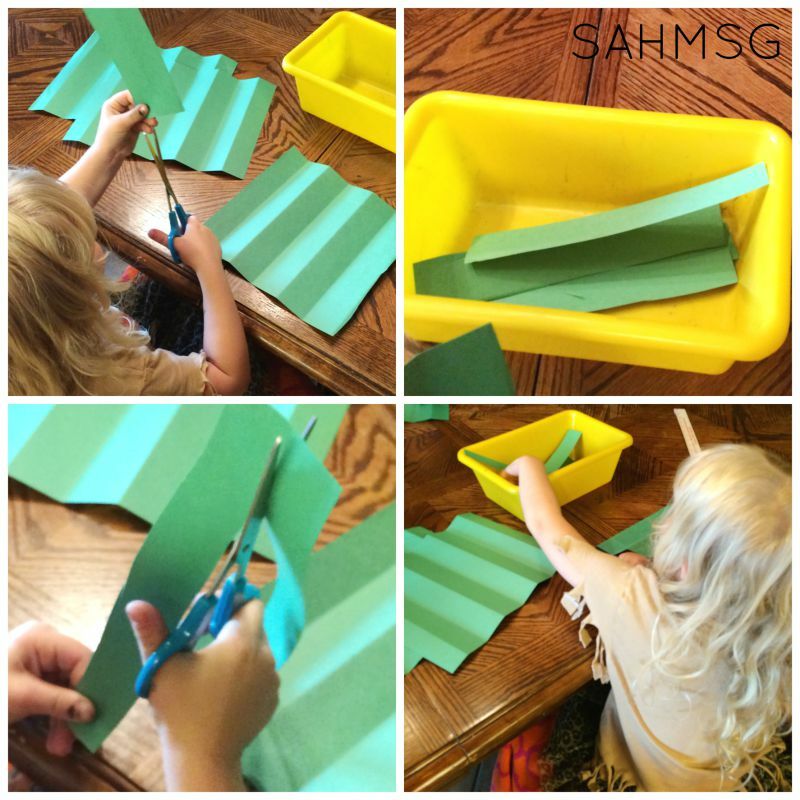 I had to bathe the twins, so I asked my two older kids to cut some paper strips. I folded the construction paper pieces in an accordion style and then asked them to use the fold lines as a guide for where to cut. The yellow box in the pictures is where they were to place the paper strips so we could collect them in an organized way. A shoe box or even a plate can work for this purpose so you don’t have a mess of paper all over the table. This is great cutting practice. You need enough paper strips for the total days left before school starts. The next day (projects are often spread across a couple of days in our busy house) I started making the paper chain. You have probably done this before, but for those that have not, all you do is make a ring with a strip of paper making sure the ends overlap about 1/4 to 1/2 inch. Then staple the ends together. Take another paper strip and place it through the first ring. Overlap its ends and then staple it so the two rings are linked together. Then repeat with ALL BUT ONE of your paper strips. Save one paper strip to loop through your bus. 1) Draw a bus on a piece of paper. 2) Print out this free printable bus pattern. 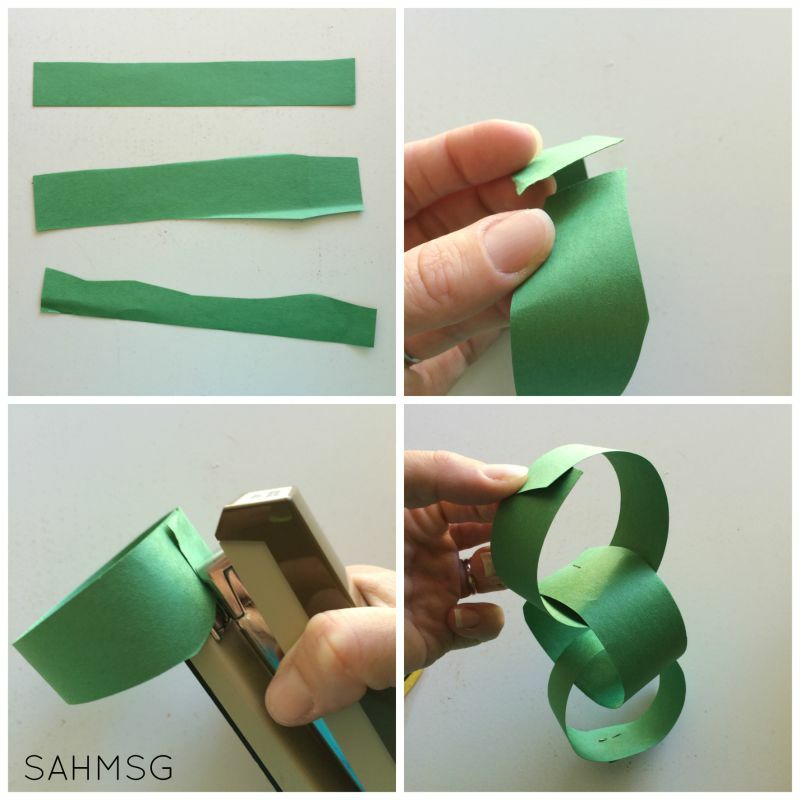 Insert the last paper strip through the rectangular cutout, loop it through your chain, and then overlap the ends of the paper strip so you can staple it closed. 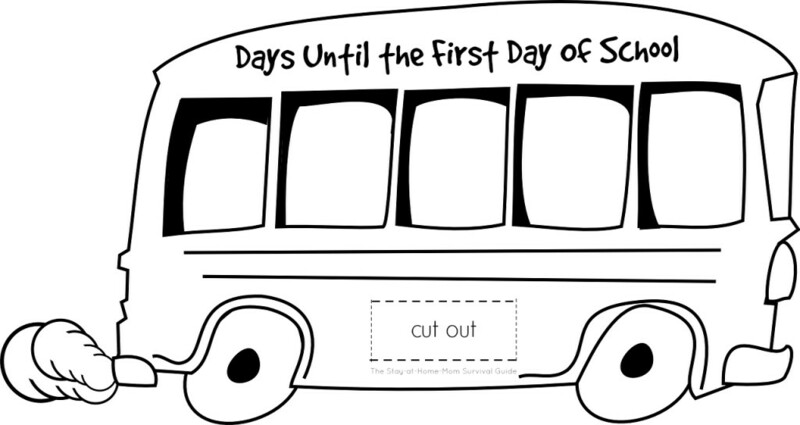 You do not staple any links to the bus-that way you can reuse this every year during back to school season. You can see in the picture, there is a rectangle cut out of the bottom of the bus I drew, and to finish it all I punched a hole in the top so I could loop some yarn through. This will allow you to hang the countdown chain up. We hung our back to school countdown chain on the door that leads into the house from our garage. 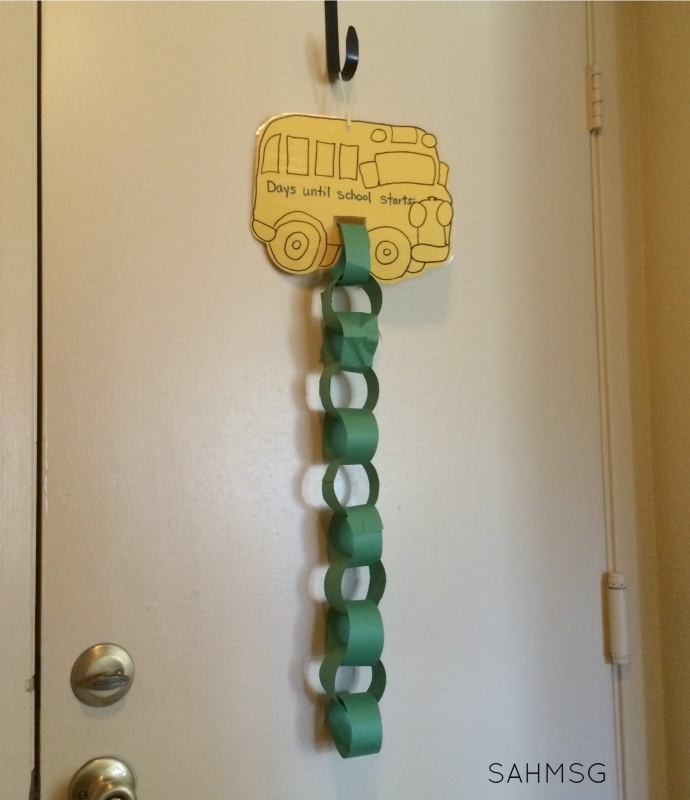 I used a wreath hanger that hooks onto the door and just hung the bus on it. Now we are all ready to count down to the first day of school! Each morning one of the kids tears off one paper ring. We then count the remaining rings to figure how many days are left before the first day of school (good counting practice for the preschooler). What grade are your children going into this year? Need more back to school organization tips? 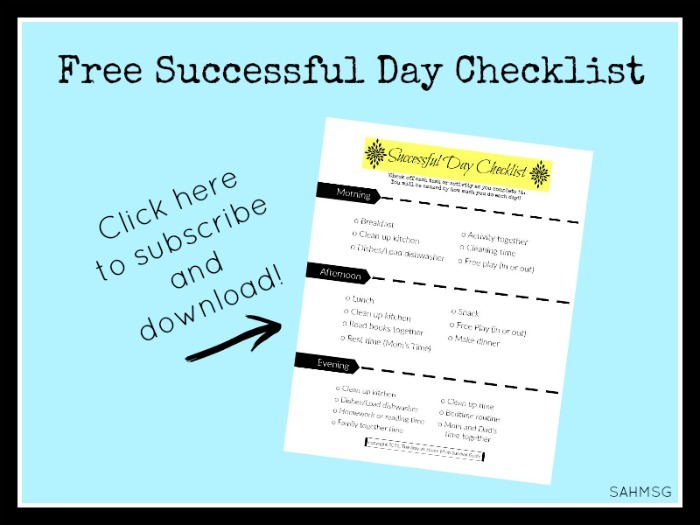 Subscribe to the Survival Guide newsletter to receive updates via email.Join with me and other moms over on Facebook, Google+, Twitter, or Pinterest. 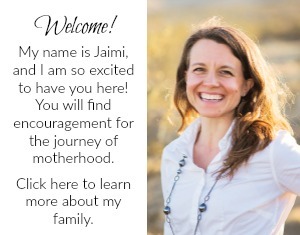 Looking to connect with other Stay-at-Home Moms for support and connection? 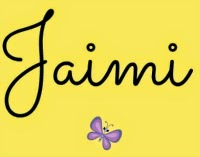 Join our private Facebook group. Thanks, Laura! What a fun time of year. This is such a great idea! I will have to save it for next year. We’ve already been in school for a week and a half. Thanks, Melissa! You guys start early! 😉 Definitely try this next year. We reuse our’s every year. Interesting, Tanya! I may have to make another free printable of a backpack. 🙂 I appreciate you stopping by.